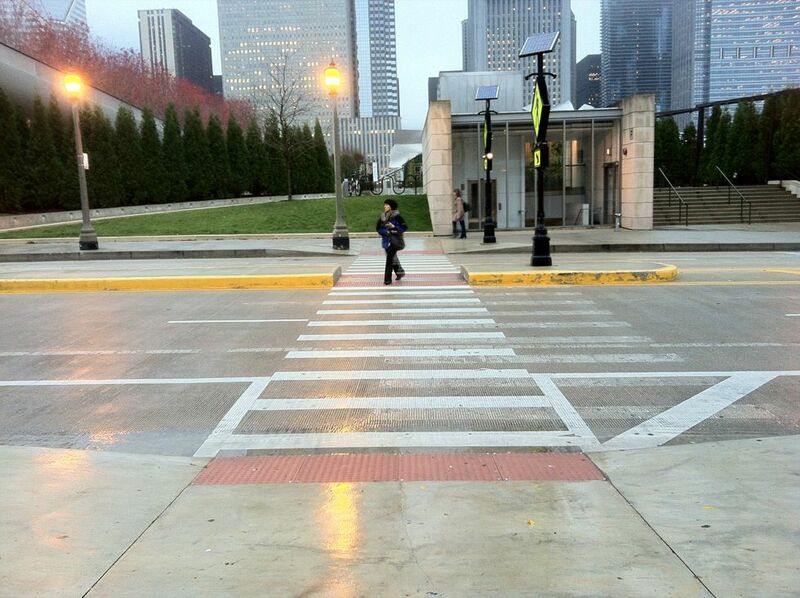 A pedestrian safety island reduces the exposure time experienced by a pedestrian in the intersection. 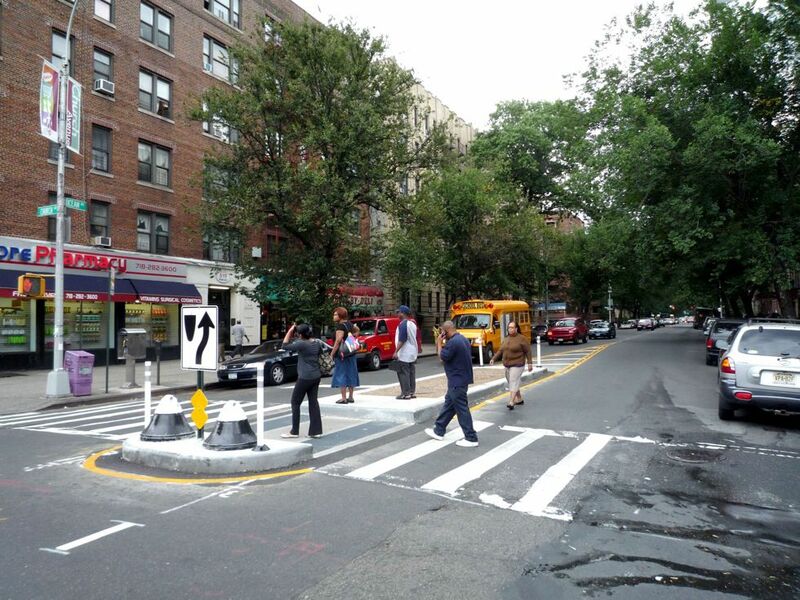 While safety islands may be used on both wide and narrow streets, they are generally applied at loca­tions where speeds and volumes make crossings prohibitive, or where three or more lanes of traffic make pedestrians feel exposed or unsafe in the intersection. 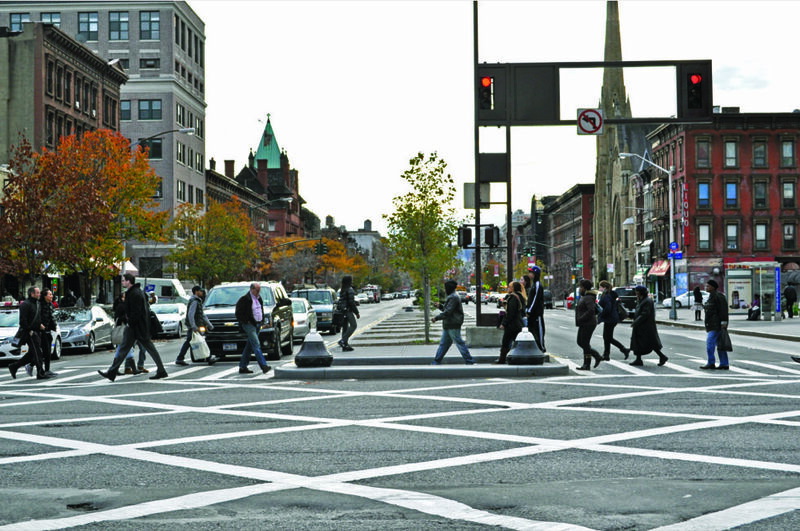 As the number of travel lanes increases, pedestrians feel more exposed and less safe entering the intersection. 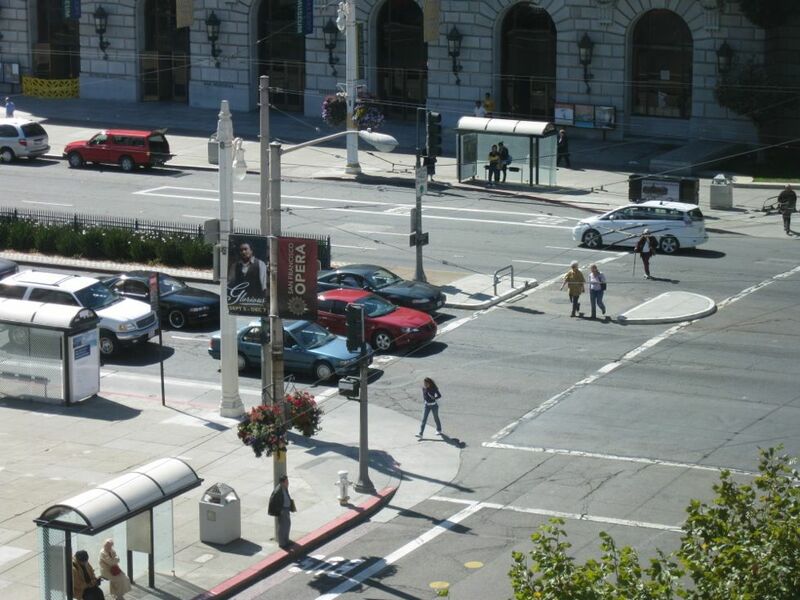 Pedestrian safety islands limit pedestrian exposure in the intersection. 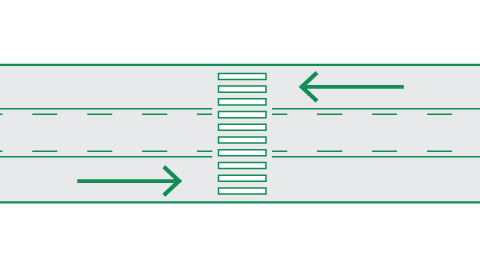 They are recommended where a pedestrian must cross three lanes of traffic in one direction (on a 1­-way or a 2-­way street), but may be implemented at smaller cross­-sections where space permits. 2 lanes 3 lanes 4 lanes	 As the number of travel lanes increases, pedestrians feel more exposed and less safe entering the intersection. 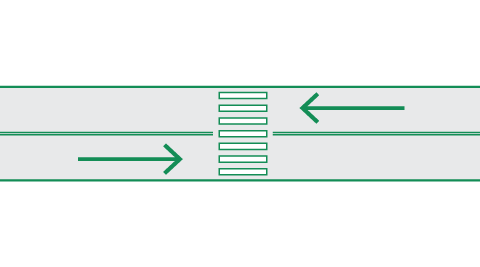 For unsignalized crossings, higher speeds and volumes may necessitate the use of a median at narrower cross-sections. 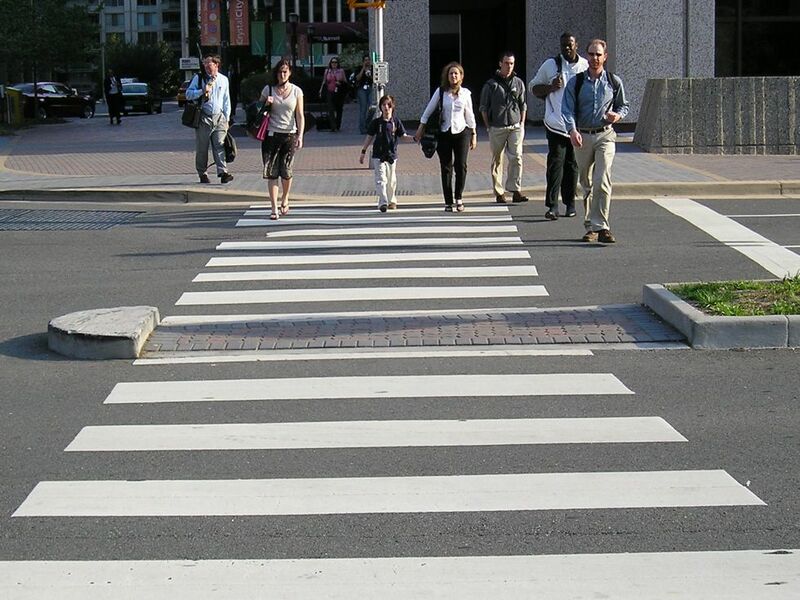 Pedestrian safety islands should be at least 6 feet wide, but have a preferred width of 8–10 feet. 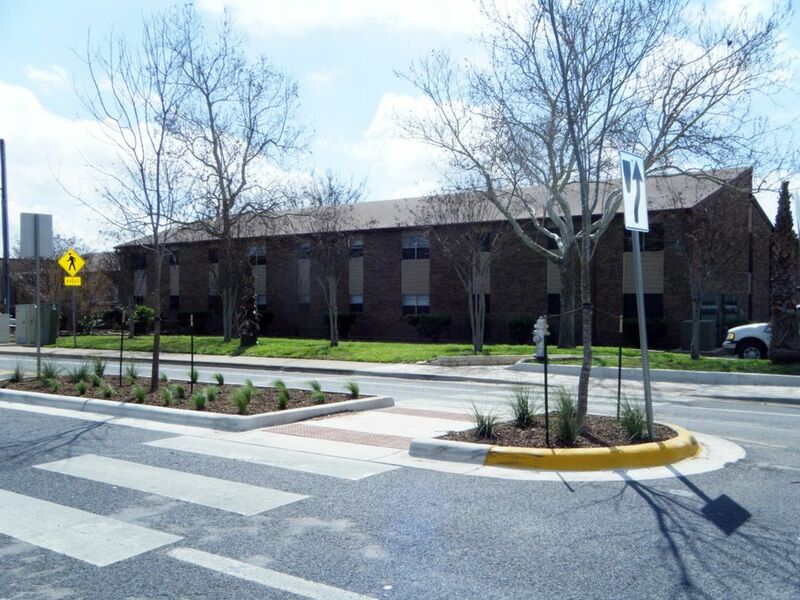 Where a 6­-foot wide median cannot be attained, a narrower raised median is still preferable to nothing. The minimum protected width is 6 feet, based on the length of a bicycle or a person pushing a stroller. The refuge is ideally 40 feet long. 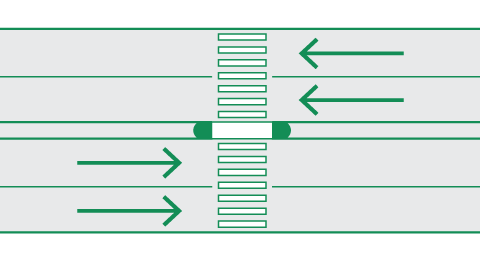 The cut­-through or ramp width should equal the width of the crosswalk. 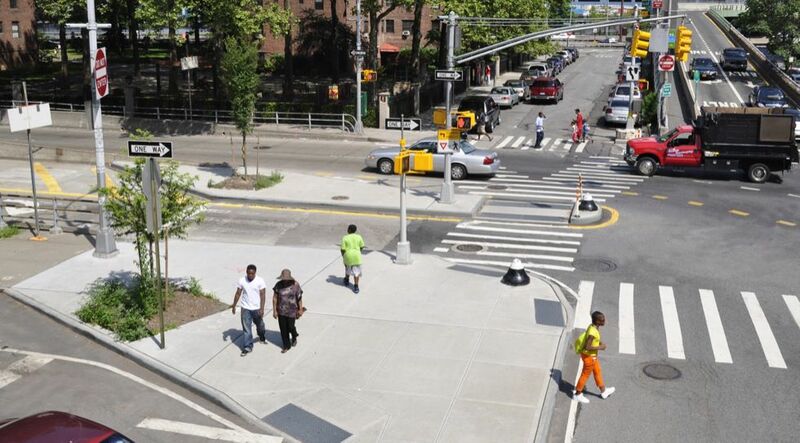 Where this cannot be achieved, cross­walks should be striped wider than the cut­-through area. 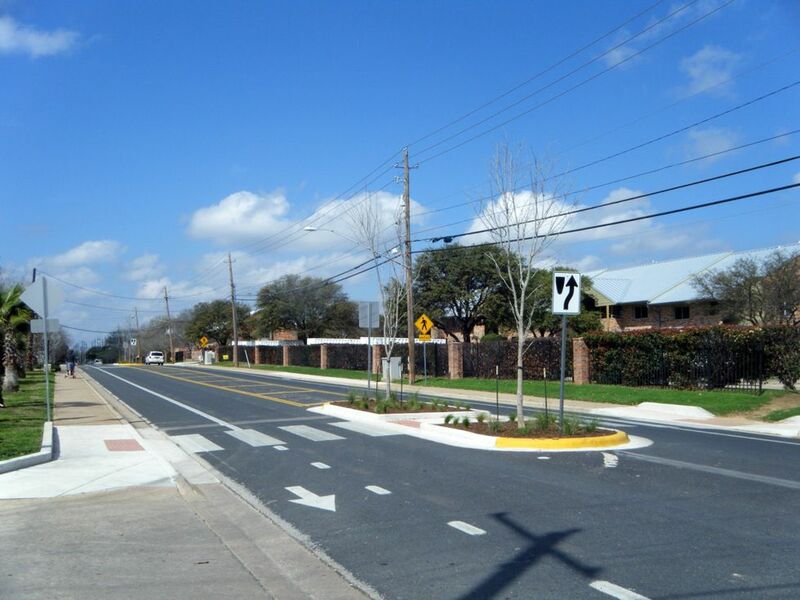 All medians at intersections should have a “nose” which extends past the crosswalk. The nose protects people waiting on the median and slows turning drivers. 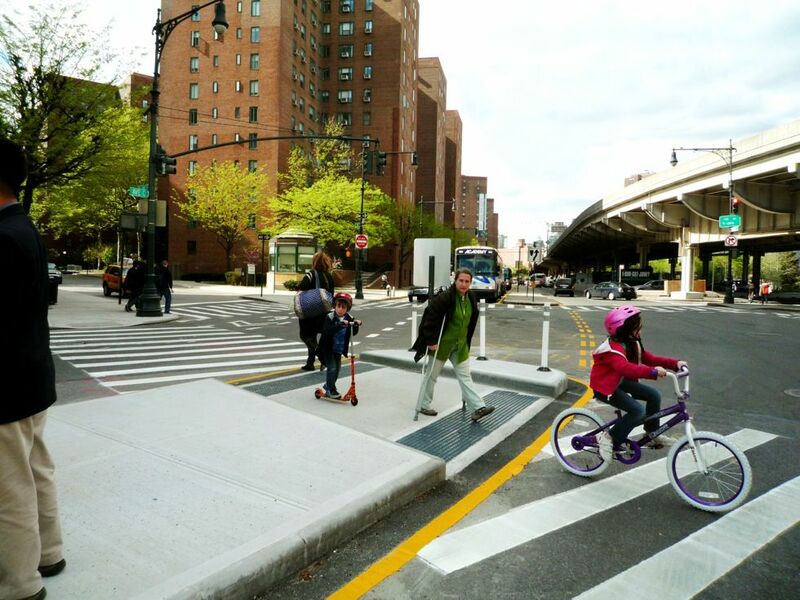 Safety islands should include curbs, bollards, or other features to protect people waiting. 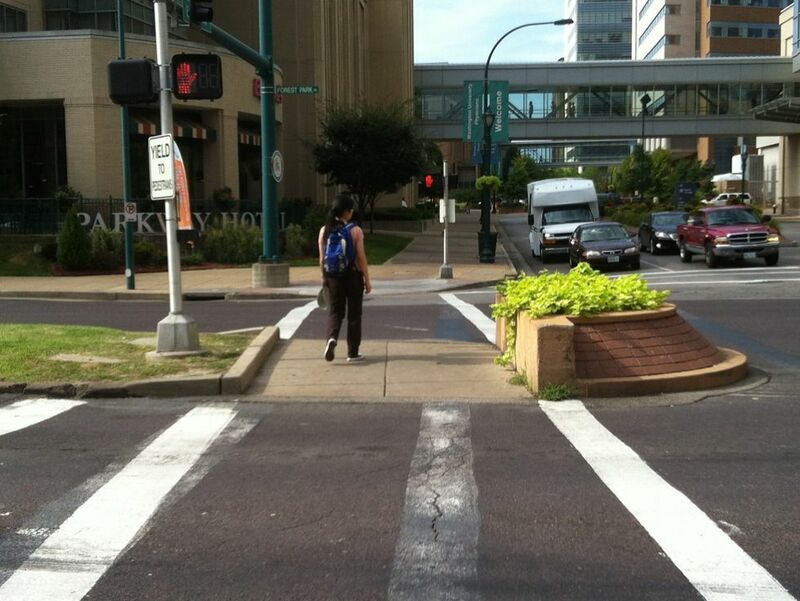 It is preferable to have the crosswalk “cut­-through” the median. Where the median is wider than 17 feet, ramps are preferred. This dimension is based on a 6­-inch- high curb, two 1:12 ramps, and a 5­-foot-­wide level landing in the center. 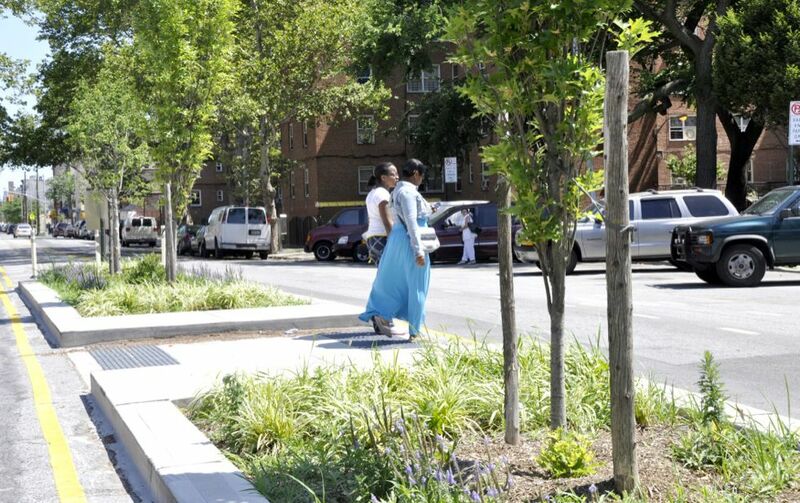 Pedestrian safety islands may be enhanced using plantings or street trees. Plantings may require additional maintenance responsibilities and need to be maintained to ensure visibility.